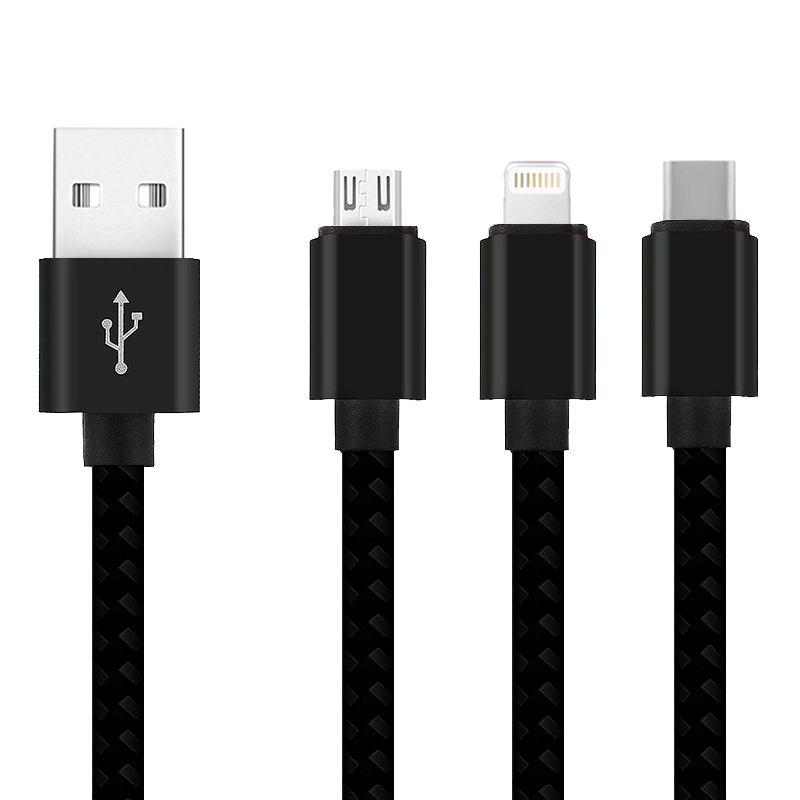 Worldwide warranty: exclusive 3n1 Strong-Kevlar charging cables with heads, anti-data hacking. 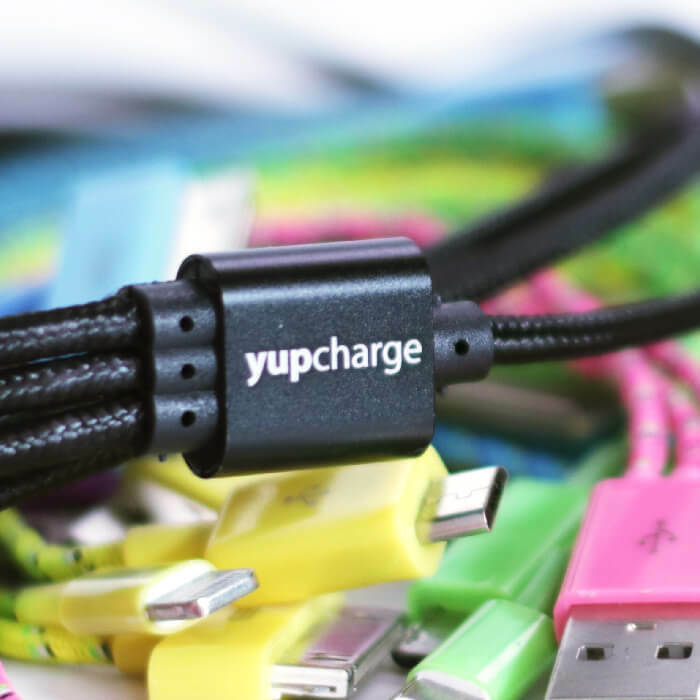 YupCable is compatible with all devices on the market. 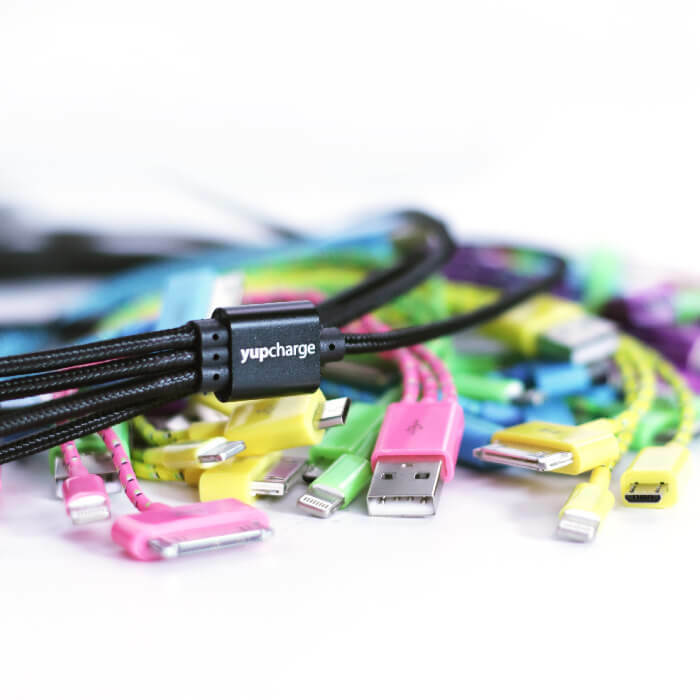 It has 3 types of connectors: MicroUSB, Lightning and Type-C. With pure copper filaments as power conductors, YupCable charges 35% faster. In addition, being exclusive charging cables (not data transmission), do not allow the hacking of personal data, even if we charge our devices in public chargers. 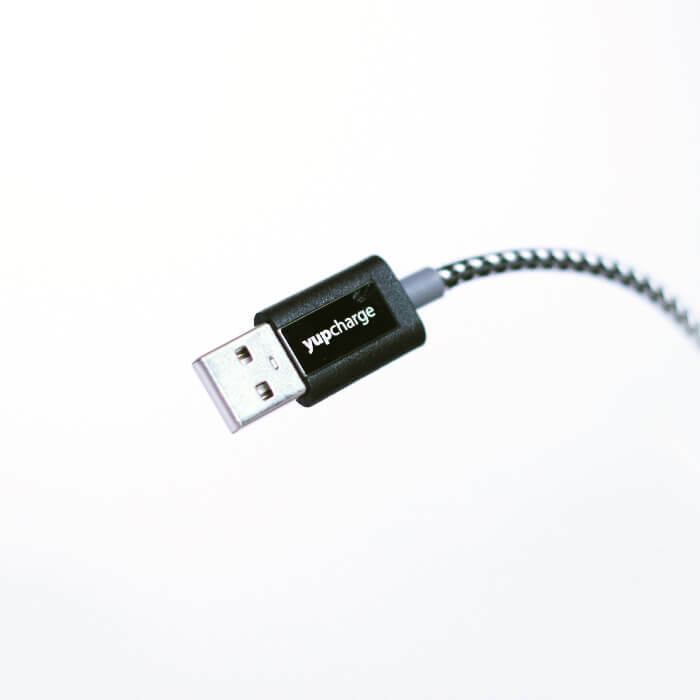 It has an ultra fast load transmission thanks to its output is 3A in the Type-C connector and 2.4A in MicroUSB and Lightning. It is resistant and attractive thanks to its outer covering of braided thread coated with kevlar and its elegant touches of aluminum on the heads. 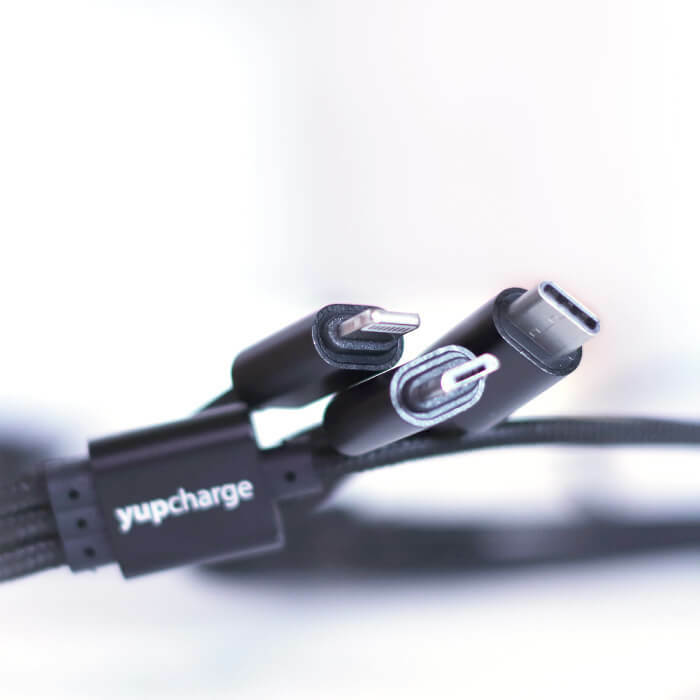 The cables of the Yupcharge Strong-Kevlar series have been subjected to Bending tests, more than 10,000 times and are manufactured to last with their exclusive circular joint. Manufactured with materials of high resistance and durability, such as Kevlar (raw material of the ropes for navigation) and with a degree of elastin that gives them greater adaptability. We have 1 meter and 30 cm cables that are designed to withstand heavy load demands (2.4A) and have 10 times the resistance of a normal cable.